T-Mobile has rapidly expanded its LTE footprint in the last year, but there is only so much the carrier can do with existing spectrum licenses. It was previously rumored the Un-carrier was working on a spectrum deal with Verizon, and now its official. T-Mobile will hand over AWS licenses worth $950 million and throw in another $2.365 billion in cash to get its hands on new Block A 700MHz licenses. T-Mobile's LTE network is currently operating on AWS band 4 (1700/2100MHz) as it transitions HSPA+ to the 1900MHz spectrum it received as a result of the failed AT&T takeover. The block A spectrum being purchased by T-Mobile is in the lower band of the 700MHz range (band 12), which makes it very desirable. This is separate from the band 13 spectrum that Verizon has built most of its LTE network on, so there isn't much device support currently. The spectrum covers 9 of the top 10 and 21 of the top 30 markets across the US. 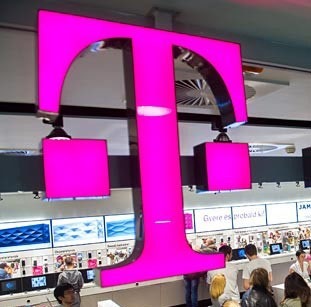 T-Mobile will need to release new phones and tablets that can connect to band 13 LTE in addition to the existing band 4 to take advantage of the acquisition. The deal is subject to approval by regulators, but no serious issues are expected.